As a big fan of Maybelline mascaras, I couldn't stop myself to not picking up this new addition to their mascara lists. The Magnum Barbie mascara is the expanding product from the previous Magnum range. This one claimed as volumizing and lengthening mascara, like Barbie's eyes. 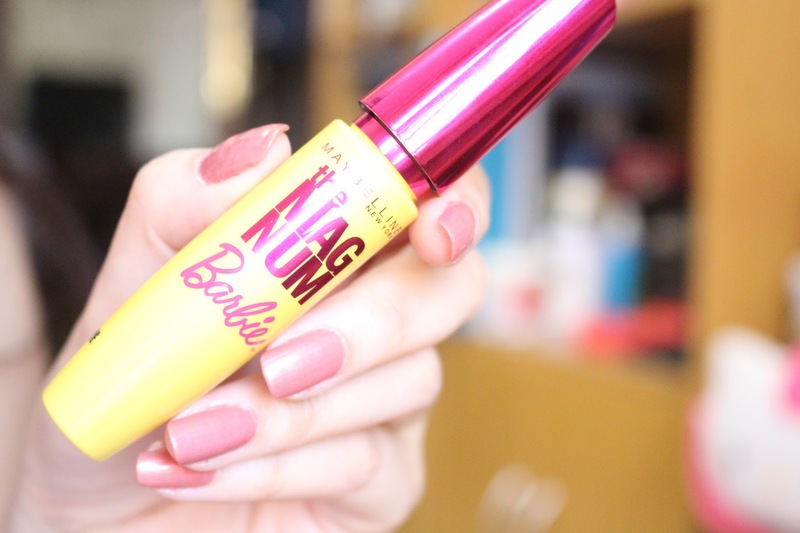 The packaging looks identical to the original The Magnum mascara, what makes it different is the deep pink cap and the Barbie original signature. It looks cute thou. The combination of bright yellow tube with deep Barbie-ish pink makes the packaging looks more girly and fun. 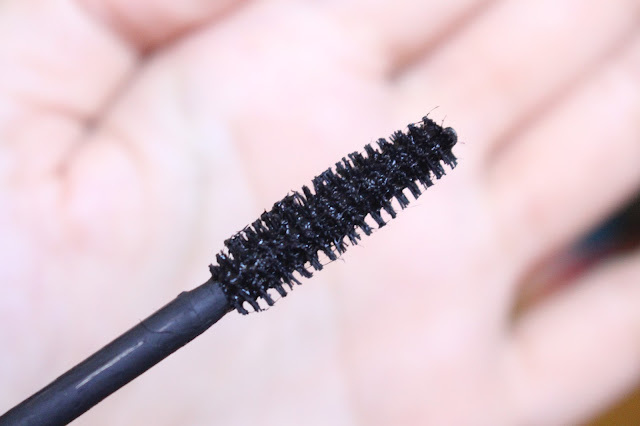 The wand is curved, literally the same with The Falshies, which I think is great wand because my experience with The Falshies is an amazing one and definitely my go to mascara. It has nice short bristles, make it easier to apply on your lashes and to reach outer lashes. The formula itself is amazing! I'm not a big fan of original The Magnum mascara, but this one is definitely something you should try. It gives more volume and length so of course makes my lashes look more flattering and makes my eyes bigger and more open up. This mascara is wear off so long, hold the curls for almost all day. It doesn't smudge at all. I tried it for the first time on Eid, did my makeup on 5 in the morning and been so busy all day, got home almost 10 pm and my lashes still there! It still curled, flattering. Overall, this is definitely worth the hype. It is a great mascara but I have to say, not as good as The Falshies mascara.